Hi everybody, my name is Chris. I work in St Pete Florida as a Police Officer. I have only been on the job for about 5 months and I immediately realized I needed a way to connect with other Gay Officers. My department is not a bad place, but hearing about dealing with "alternative lifestyles" in reference to homosexuals gets old. I hope you are all doing well and I would love to meet some of you. Anyone else in my area? Have a great day! There is a Blue Pride member (that unfortunately rarely posts) that is on Gulfport PD and I am with Hillsborough S.O. There are more of us out there. 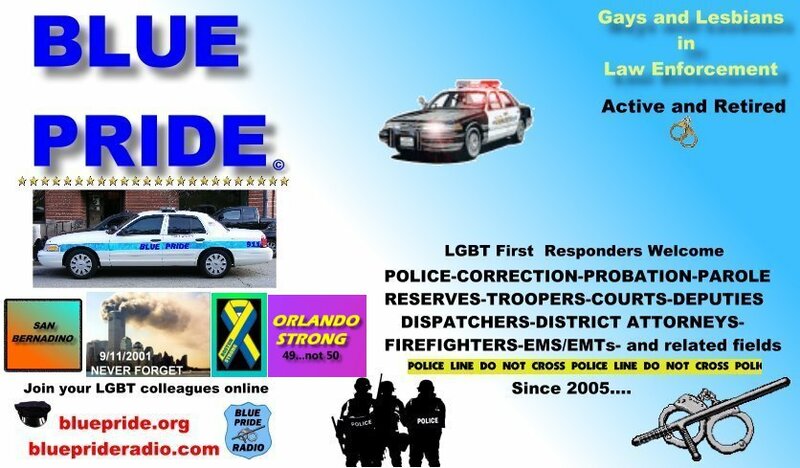 I personally don't know any gay officers over in St. Pete PD or Pinellas S.O. but I know VERY few officers/deputies over there to start with! Welcome to Blue Pride! Good day, and welcome to the club. I'm from Canada. Not a cop, a firefighter and an intelligence officer. We don't bite. Welcome from another gulf coaster over in NOLA. As a somewhat regularly attending member of this site, I can't help but see how the numbers of people visiting/interested in the site are fantastic, on a daily basis. I'm sure many visits are from actual members that like to check up on recent threads, etc. without logging in. A question I have though, is with all these visiting/interested people out there, why don't you spend the extra 5 minutes to offer an occasional point of view or personal experience that may really contribute to some of the great topics and discussions. It is the influx of new ideas, topics, critiques (within the guidelines of our GLBT Public Safety forum) that are going to help keep the site interesting! If you are interested enough to drop in and read the latest, then how about making a bit of a contribution to the exchange of ideas with your fellow LEOs, Firefighters, DAs and related. We are interested too! Is it 48 days without an LODD? It is updated weekly, and unfortunately, there are almost always a few listed. Just had to respond when I read you are in St. Pete. Lived there for a short while (including Treasure Island) many years back & have some fond memories. As for the "alternate lifestyles" routine. Yes, it's getting quite old. Like you, I look forward to the day when we will no longer be judged for being "different" but rather by the content of our character as MLK once said. When I was on the dept here in NY, it became increasingly difficult for me to remain not only to deal with homophobic/transphobic officers but also a captain who felt I would do a great "justice" to the dept by making my presence known anytime media was present as I'm also disABLED. The ability to serve in law enforcement (in semi-limited detail) was & always will be the greatest accomplishment & feeling I shall ever know in my life.